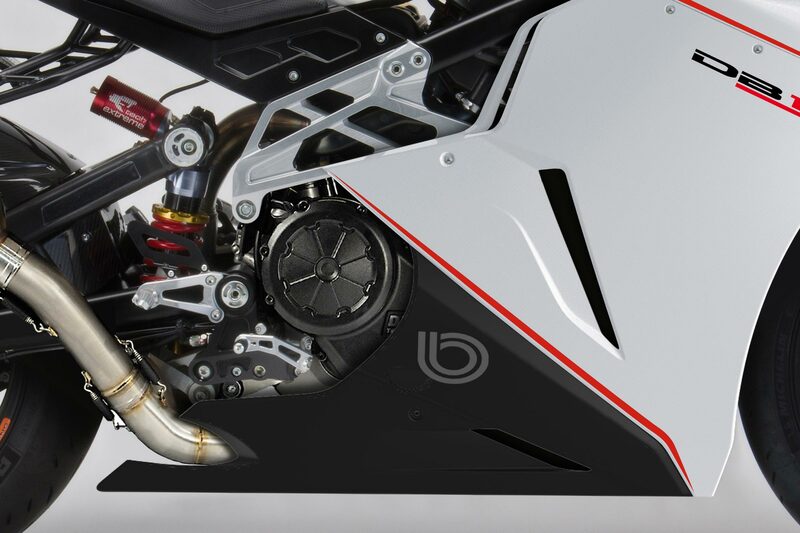 If you were as blown away over the supercharged 2013 Bimota DB11 VLX as we were, you might have not realized that we forgot even to introduce the Bimota DB11 to you in the first place. A fully faired sport bike with a 1198cc Ducati Testastretta 11° engine held in its beautiful steel trellis and aluminum-plate frame, the DB11 puts out a reasonable 160hp and less reasonable 97 lbs•ft of torque. 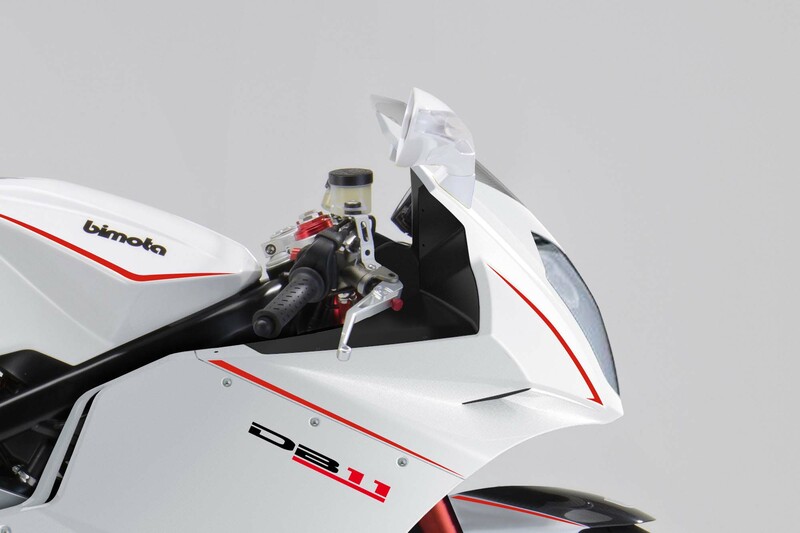 At 385 lbs dry, the 2013 Bimota DB11 makes a good argument for being a robust sport bike, even if most of them will sit in the garages of collectors. 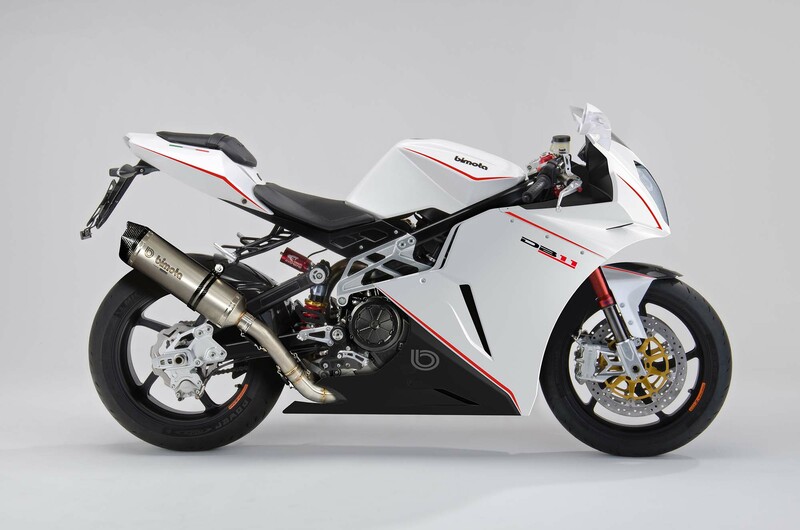 Using the same frame design as the Bimota DB9 Brivido, we must admit that the design aesthetic here is also getting some mileage, which sort of detracts from the “my pants are fitting oddly” problem that Bimotas generally generate. To its credit, Bimota has revised the headlight assembly, which gives the Bimota DB11 a little bit more of its own look, and let’s be honest…you wouldn’t kick this Ducati out of the garage. The fully adjustable forks are done by Marzocchi, while the four-way adjustable rear shock is from Extreme Tech. 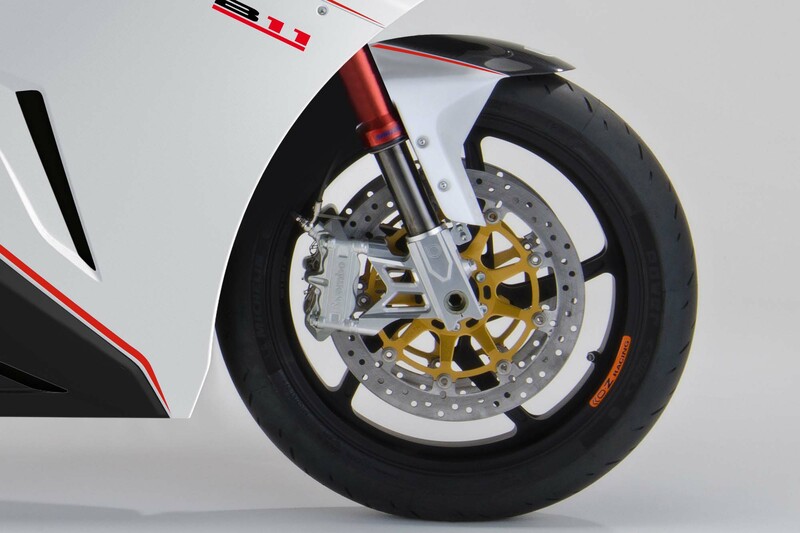 Brakes are Brembo, while the wheels appear to be from OZ Wheels. 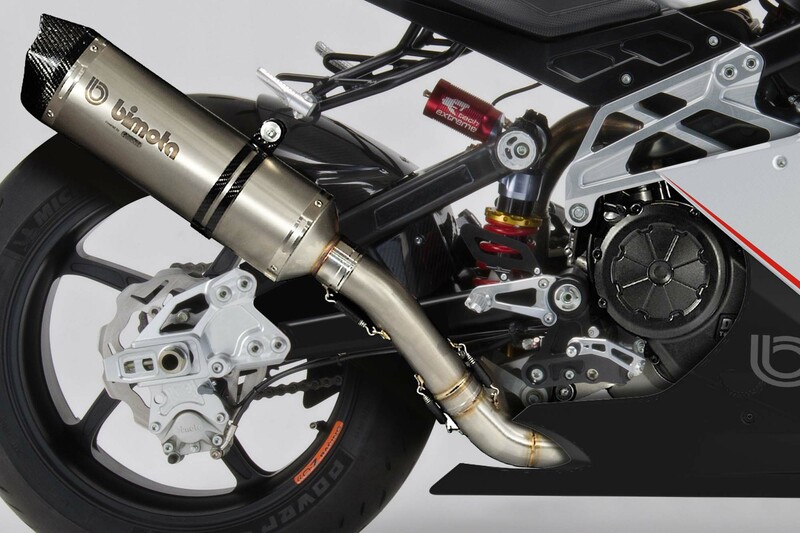 Exhaust is by Athena, and designed by Bimota. No word on price yet, but expect something north of the $20,000 mark.